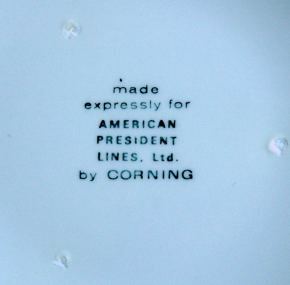 Made by Corning and dating to the 1960’s, this bread plate is straight off one of the famous American President liners. 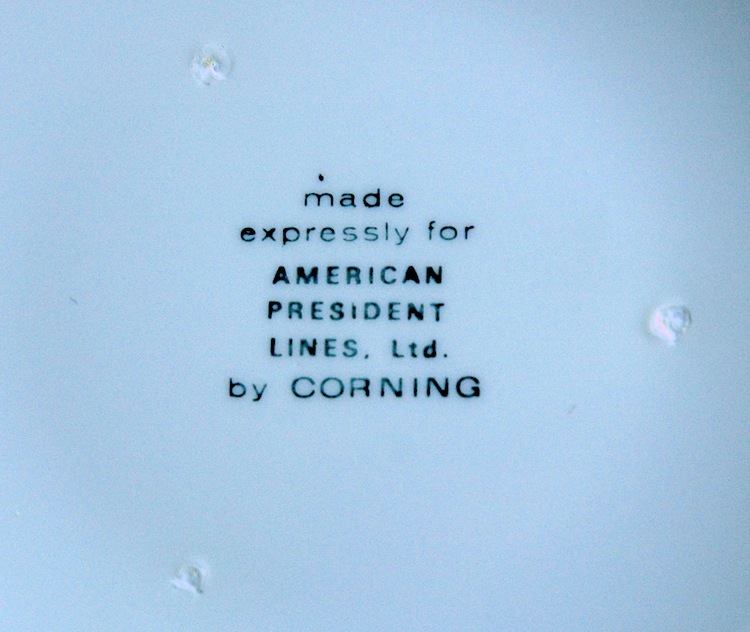 In excellent condition, it measures about 6” in diameter. A small quantity available. 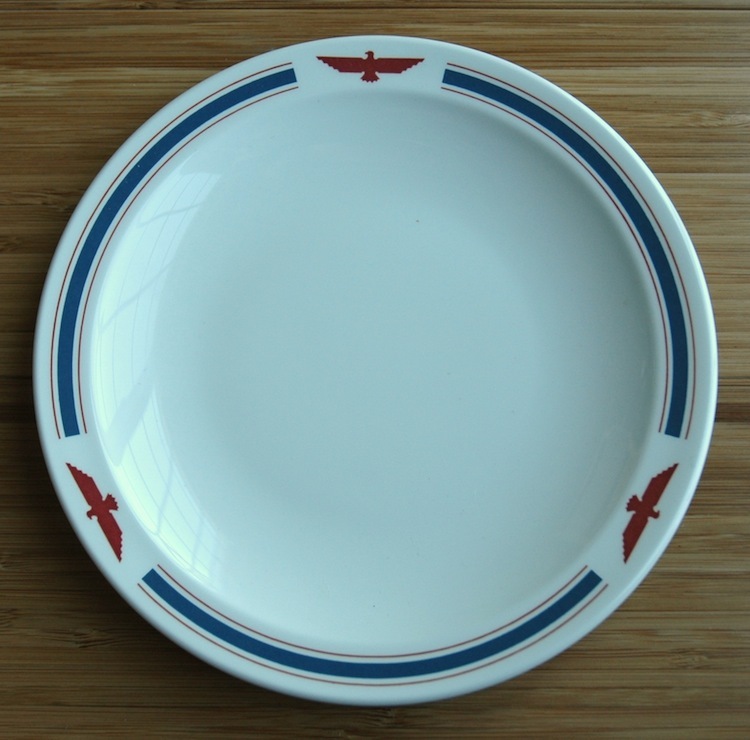 Highly useful as it easily stands up to dishwashers.